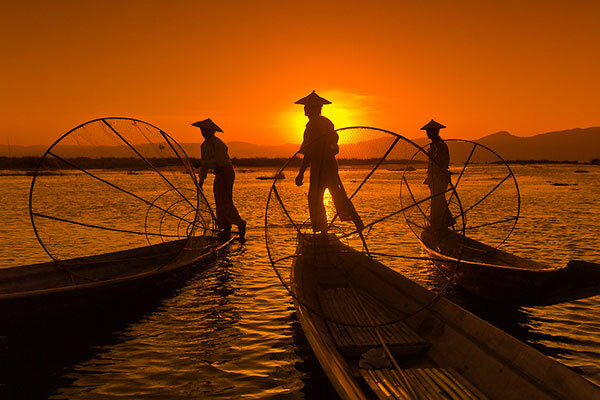 Inle Lake is famous for its unique Leg Rowers, floating villages and colorful markets held once in five days at village around the Inle Lake in interesting being full of pageantry and colorful splendor. 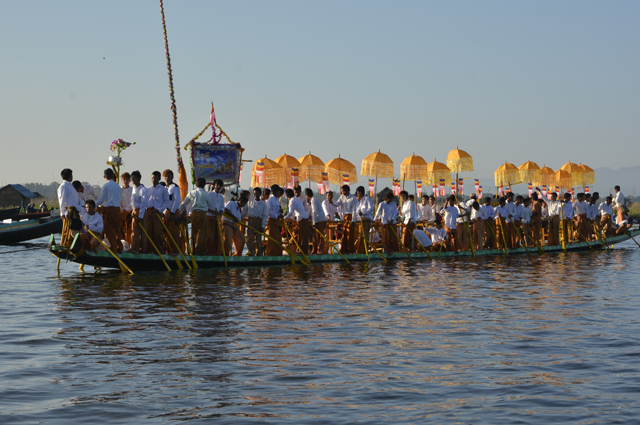 Here, villages are built on stills over the lake waters and boats are the sole means of transport. 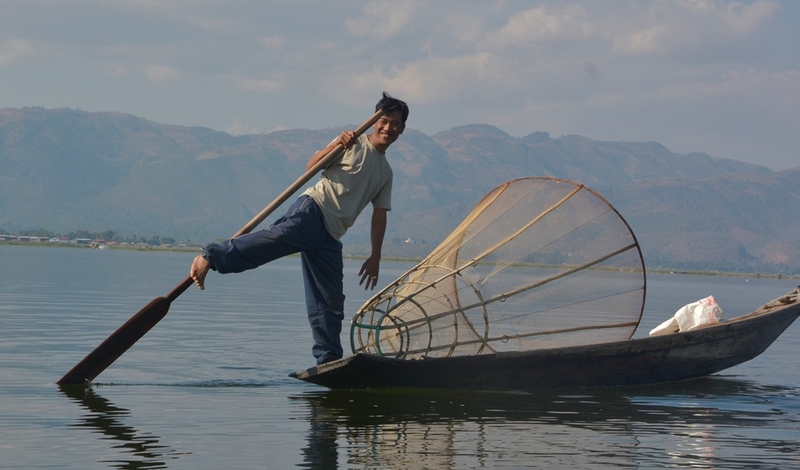 Inle Lake is located in the Shan State and nestled amidst hazy blue mountains about 30 km to the south of Taunggyi. This vast beautiful picturesque lake 900 meter above sea-level, it is one of the main tourist attraction in Myanmar.